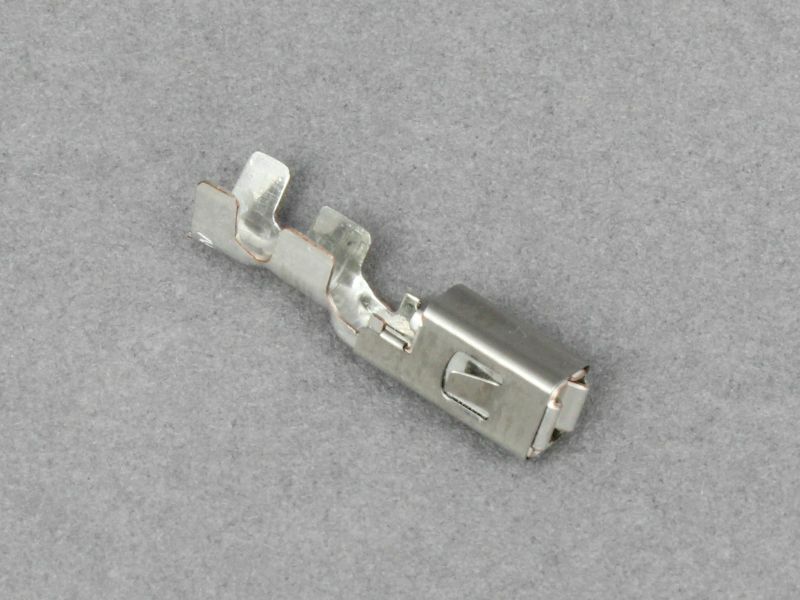 Non-insulated crimp terminal for mini blade fuses. 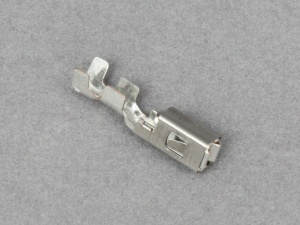 Can be used in any of the modules that hold mini blade fuses from the MTA modular fuse and relay system. 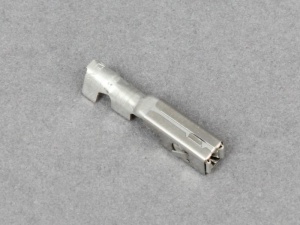 Terminals are crimped and/or soldered to the cable and then inserted into the slots in the underside of the module. Features on the terminals ensure error-proof insertion. Yellow secondary locking bars on the module should then be pushed into place to prevent accidental terminal removal. I was hoping that these would fit a Skoda Superb fuse box, but unfortunately they did not.